Enjoy a relaxing break in your own serene hilltop setting. 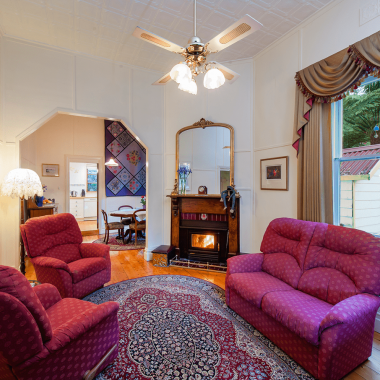 At Charnwood Cottages Bed and Breakfast accommodation in Warburton you can choose from our two, one bedroom romantic spa cottages, our two bedroom family cottage or our three bedroom Heritage cottage. All are fully self-contained with beautiful queen size beds, log fires and stunning views. 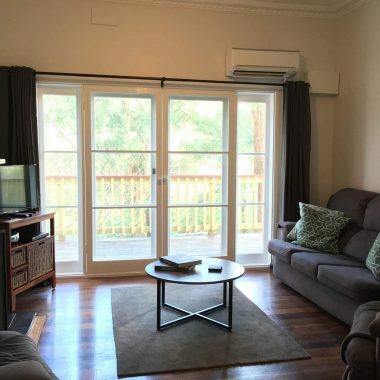 Relax on your own private verandah overlooking the beautiful Yarra River with just a short stroll over the well-known swing bridge to the heart of the historic town of Warburton, Victoria just minutes from the start of the famous Warburton Trail. 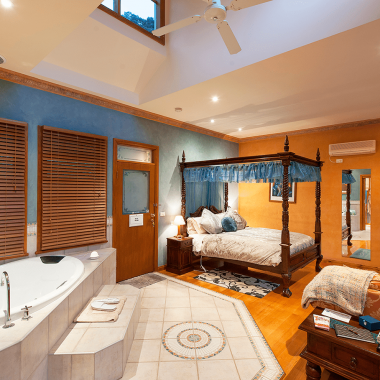 Ideal for your Wedding night, honeymoon or anniversary, special birthday or just a relaxing getaway to recharge. 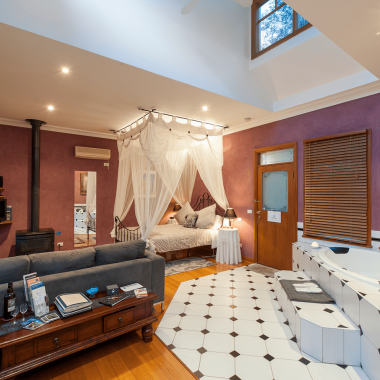 Take advantage of our special mid-week rates in all of our cottages, you can also add to the experience by purchasing any of our special packages ranging from cheese platters, champagne to couples massages, to book your accommodation call us on 0417575120 or book on line. Gift Certificates available. 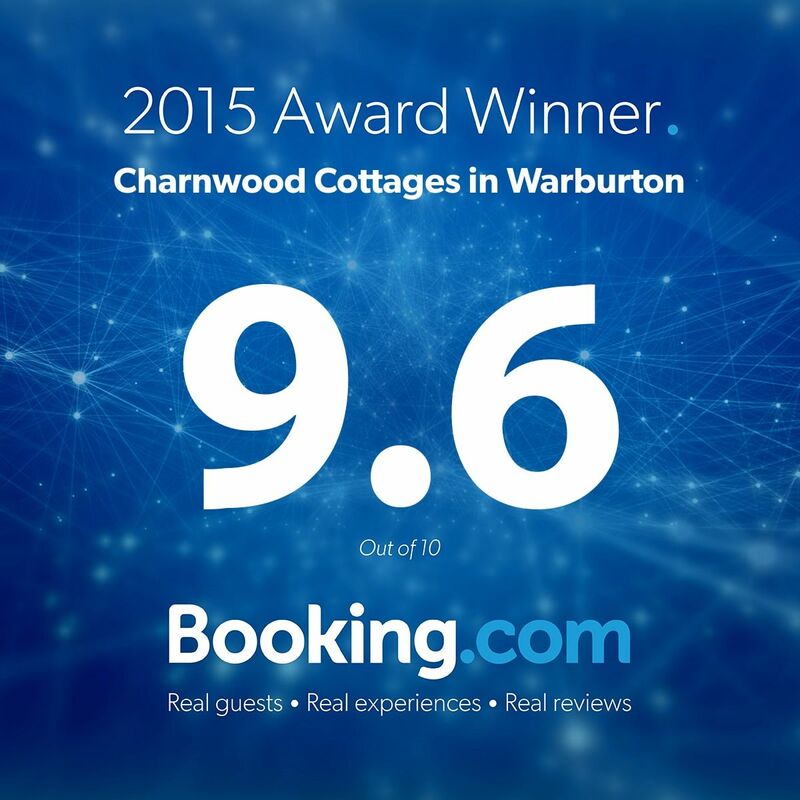 Charnwood Cottages has been independently rated as one of the highest levels of accommodation in the state. 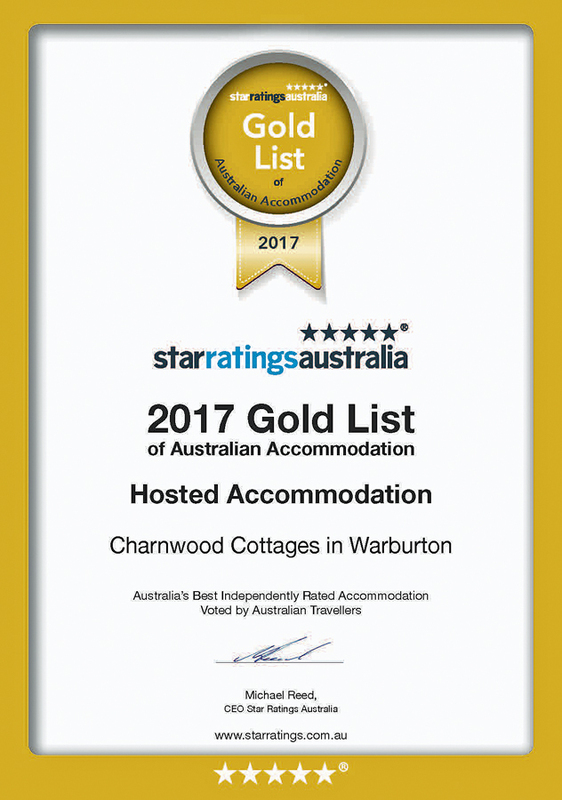 We have been honoured with a position on the 2017 Gold List of Australian accommodation.